It appears the UFC is zeroing in on a possible location for their highly talked about UFC 123 card, which is currently scheduled for November 20th. It’s being reported that “Hockeytown” is one of three cities vying for a one night Octagon rental. The Detroit Free Press added that a decision should be made by the end of next week, but was unable to confirm the two other potential locations for the event. Ratner did previously say that Milwaukee and Pittsburgh were possible destinations for the world’s premiere MMA organization, although he wouldn’t rule out a return to Philadelphia where UFC 101 was held in August 2009. Last week, we reported that Chitown had been a possibility up until the official 2011 NBA schedule was released. At that point, it was determined a return to the “Windy City” would’ve been impossible with the circus running amok inside the house that Michael Jordan built. 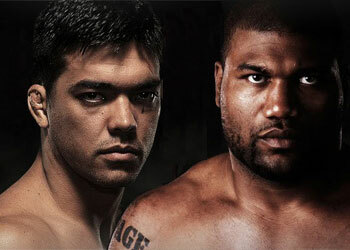 Something we do know, however, is the card will feature a ridiculous light heavyweight scrap, as former 205-pound champions Lyoto Machida and Quinton “Rampage” Jackson will be throwing down in the featured contest. If it’s not a top contender match-up, then it’s pretty darn close. As the UFC watches 2010 quickly wind down, November 20th is the one event they haven’t been able to officially put in the books. It appears we’ll find out sometime next week if Octagon president Dana White will be doing his best Eminem impression or not.